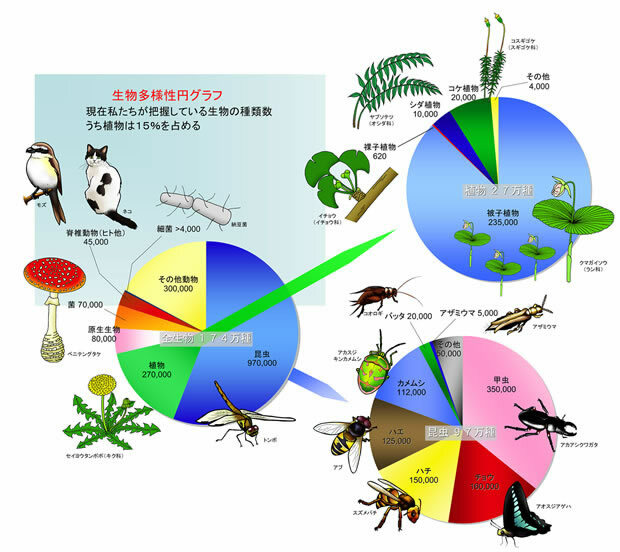 Biodiversity can be defined as the “variety of life”. To properly catalogue all life on Earth, we have to recognize not only species diversity, but also the genetic diversity that exists within species, as well as diversity at the level of entire habitats and ecosystems of organisms. Of all known species (approximately 1.7 million), vascular plants comprise 270,000 (15%).